Written by Adam on July 16, 2018. Updated April 24, 2019. 22 min read. Personal, Financial Independence. 3 comments. I’ve recently joined the ranks of ChooseFI Podcast listeners, and have loved it so far. In episode 23 with ESI Money, they touch on a topic I’ve started to think more about lately — what would a day look without a job? (don’t worry coworkers, it was mostly because I’ve been sick recently and have had a lot of time). It’s easy to think this would just fall into place naturally – which is a possibility for sure – but I like to be more intentional with my planning. I tend to think without structure, my days would involve floating around from one thought to the next, desperately trying to grasp for important things to do that matched what I was in the mood for. After staying home from work sick recently, I started to realize that just wouldn’t do it for me. I need more structure and goals in my days. Otherwise, I tend to do very little. With a few keystone habits to my day, I think that would be enough to supercharge my productivity and get momentum built up. The “achiever” in me (my #3 strength from StrengthFinders by the way) needs to get something done. I love that feeling of accomplishment – even if it’s something no one sees but me. Something as mundane as organizing a closet, clearing away some old paperwork or watching a video that I learn something from gives me that hit of effectiveness. The idea of pulling back from that to just relax made me wonder – would I enjoy it long-term? The theme of getting things done early in the morning is a common thread through most of the Daily Rituals – How Artists Work book. Starting strong has a cascading impact on the rest of the day that’s difficult to quantify, but is clear. Even from my own schedule, it’s clear that the days when I worked on something in the morning were ones I was: more productive, ate better and exercised more (even if that exercise wasn’t in the morning). What stood out to me from ESI’s schedule the most was how much he reeled off specific things at specific times. I didn’t get the impression anything felt like a chore – everything was something he wanted and choose to do over anything else. It also helps to be able to plan this schedule around times when the gym is relatively empty as people leave for work. Your personal goal may be to completely relax in retirement, but I’d ask you a question: do you want to do that every day? For some, that answer is resounding yes. This is similar to the idea of vacation vs travel. I tend to think that after some time decompressing from a career, I’d develop a similar schedule to ESI that I start to stick to. Is “Too Much Flexibility” a Problem? I want some leisure filled days – there’s no doubt there. If I were retired right now, I’d likely start every day early at the bar watching World Cup Games (I was able to catch one at a bar in San Francisco recently which was a lot of fun!). Flexibility to jump on current interests is one of the most attractive parts of having time. Flexibility gets boring. You heard me! Imagine waking up and beginning your morning thinking “what am I going to do today?” every. single. day. You’re going to get bored with it. It may sound idealistic if you’re crazy busy today, but doing that over and over will be taxing. We have no kids and now that we don’t have a house we have crazy few responsibilities. Aside from taking our dog outside a few times a day, there’s not much we have to do. It’s a life designed around having time to pursue other things. During Christmas break each year, we generally take the week off from Christmas to New Years. This year I had 9 days to do whatever I wanted. We’d just moved to Utah, so we didn’t end up traveling during this time, which meant it was a good example of what I’d do given unstructured time. What did I end up doing in that week? Pretty much exactly the same things that ESI Money listed. There were a few additions like unpacking, exploring Utah and settling in, but for the most part, it was a combination of gym, skiing, writing, and very quickly developing a routine. Routine can sound like a curse if you don’t enjoy it, or it can sound like a parachute if you long for it. How Structured Do You Want Your Time? Waking up in the morning with no set plan, then plan your day. Planning your next day the night before. Planning your week out ahead of time. Planning your month out ahead. Developing a schedule and trying to stick to it with one of the above to fill in the gaps. I currently do a weekly task planning session every Sunday. That “weekly task planning” is itself a repeating task in Todoist set as a high priority every Sunday. During these sessions (which tend to only take about 10 minutes), I try to lay out the most important things I want to work on this week. I look at the high-level goals I’m working towards and pick small steps towards them. Sometimes that’ll be chipping away at things on my todo list around the house, taking steps towards large projects by breaking them up into small tasks, things I want to research, errands I want to run or even phone calls I need to make to get things done. This planning session, coupled with a few minutes each night to evaluate how I did that day to reorganize anything left incomplete, is the right amount of structure for me. But that doesn’t define what I do with my time. It’s goal oriented, but not a structure. I could wake up and focus my day entirely around whatever is on this todo list, but I don’t believe that would get me up in the morning. As interesting as “Call prescription into pharmacy” is, it’s just something that needs to get done (are you sensing a sickness as a trend this week? It hasn’t been fun-times.). Instead, I love the idea of having a set schedule that by its design has time set apart to get things done – both fun things and must do things. I think about how this relates to my schedule today. I don’t add todo list items for “go to work”, or “have coffee with my wife”. That’s not the place for it. I’ll still do these things, but they’re not tasks, they’re part of a routine. We plan one thing to do, or an area to explore before lunch. One thing to do, or area to explore after lunch. Make dinner reservations, or plan on what part of town we’ll eat. We’ve found this mix to be our pace for travel. It gives us a reason to leave our hotel and get out into the world at a reasonable time in the morning. New York: Morning: Ken Burns’ Brooklyn Bridge Detour. Lunch: whenever we’re hungry. Afternoon: Highline to Chelsea Market. Dinner: Momofuku Ko. 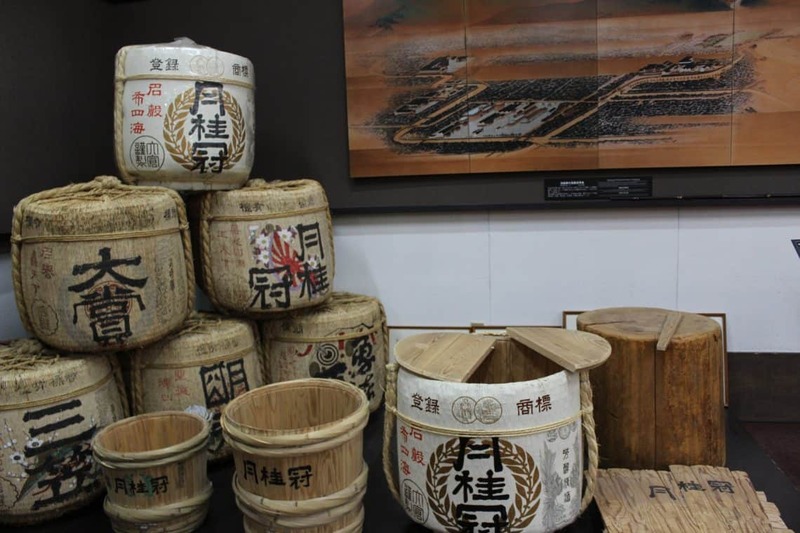 Japan (Kyoto): Morning: Fushimi market & sake tour. Lunch: Treats in the market. Afternoon: Fushimi Inari. Dinner: Ramen near the hotel. Japan (Tokyo): Morning: Cherry Blossoms at Ueno Park. Lunch: Bentos in the park. Afternoon: Explore Asakusa area. Dinner: Kagari Ramen in Ginza. France (Versailles): Morning: Palace Tour. Lunch: whatever we can get. Afternoon: Explore the grounds. Dinner: Flexible near the hotel. Chicago: Morning: Architecture boat tour. Lunch: Al’s Beef. Afternoon: Exploring Logan Square area. Dinner: Longman & Eagle. After: Watching Game of Thrones at Burlington Bar. London: Morning + Lunch: Borough Market. Afternoon: Tate Modern Museum. Dinner: Flexible but with a hand-pulled beer. San Francisco: Morning: Walk to Chinatown and have soup dumplings. Afternoon: Market Street Detour. Dinner: Grab something before a movie downtown. Would This Structure Work in Retirement? 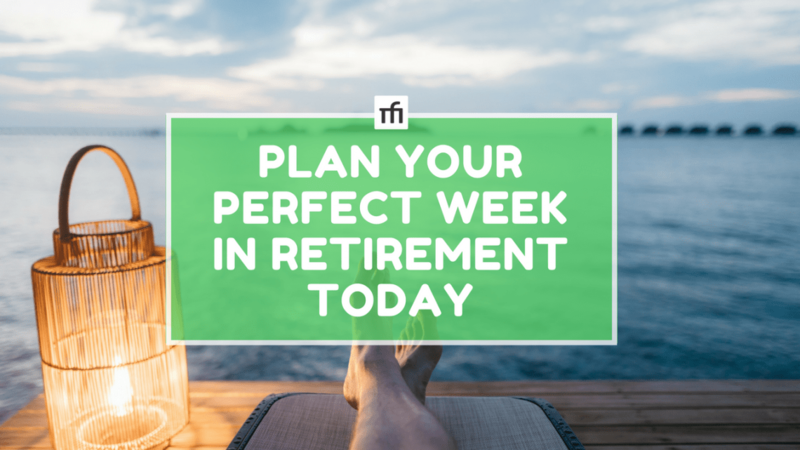 If I were to plan my “perfect” week in retirement, what does it look like down to the minute? That’s what I wanted to try doing and see. 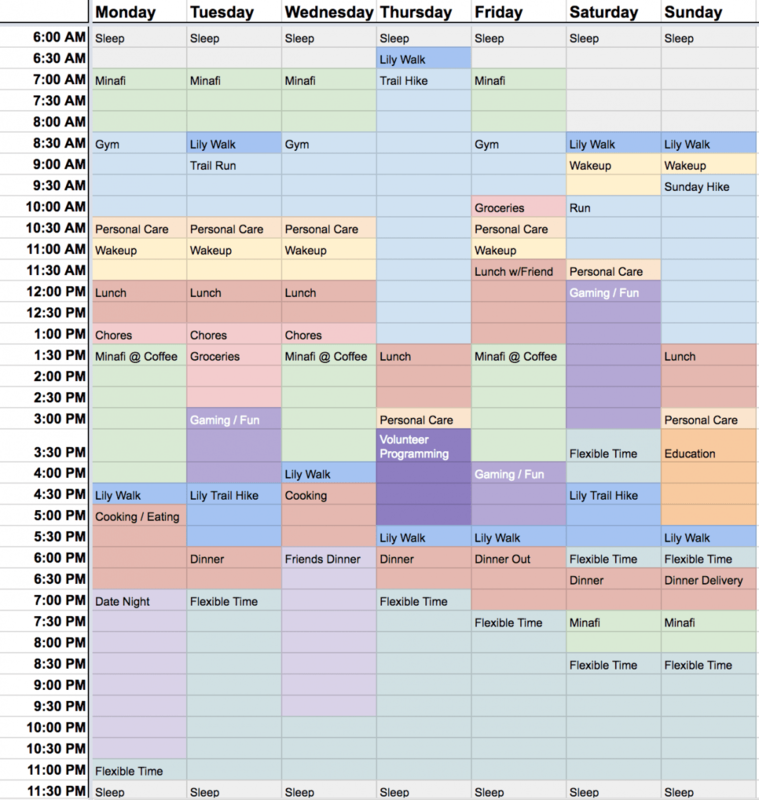 This isn’t a commitment to a schedule, or even one that I know if I’d enjoy, but it’s trying to figure out how I’d want to fill in my time helps clarify what I find important. Write Every day. Having daily rituals is important to me. If I have something I do “most days”, then there will be stretches when I don’t do it. I’ve found with my personality it’s better to just say “I’ll do it every day” and make it core ritual. This is a relatively new realization about myself since I started waking up every day to write as part of my Miracle Morning routine. At the moment I wake up at 6 am every day and write for about an hour, and have found I really love starting my days this way! Writing is also great for mental health. Journaling, in general, is amazing. If you can both work on a business and help your mental health it can be motivating on many levels. Exercise Every day. Similar to writing, having some form of exercise every day is important. Even if it’s just 10 minutes of squats and burpees in my apartment, getting my heart rate going is important. I’d like to say I’m doing this now, but I’m not. It’s good to know this is an area I can focus on though. Improving this is part of my Q3 goals. No breakfast? I’m actually not sure what I want to do for breakfast. I know I wouldn’t want to make a big breakfast every day, but I do enjoy the occasional waffles on Wednesday. I tend to think I’d rather make a bunch of breakfast burritos at once, then have them in the morning while writing, or while relaxing with coffee and Mrs. Minafi. This is to be determined! Wakeup. Having some time to just wake up with coffee and read is amazing. I love having this time as part of my day, even though it’s not first-thing. In this time I might catch up on my Feedly blogs, read the latest on Rockstar Finance or get a morning hit of Reddit/Facebook/Twitter. Lunch w/Friend. One idea I really like is scheduling a weekly lunch with a friend. Having the flexibility to do this around their schedule would be nice. Minafi @ Coffeeshop. I love going to coffee shops and programming/working. It’s fun, and I love being inspired by others that are hard at work (or at least it can seem that way in a busy place). This would be time to work on Minafi operations rather than writing. Creating visualizations, programming, core work on the site, marketing – anything non-writing related. Cooking vs Eating Out. Even with a lot more time, we love eating out. Mrs. Minafi has a restaurant/food blog, and that’s been a fun inspiration for exploring more restaurants. We recently joined the InstantPot family and have started cooking more large meals with leftovers for days. We tend to eat out at most once or twice a week. I like Liz from Frugalwoods approach to always have a frozen pizza in the fridge in case you’re not in the mood to make dinner, and don’t want to commit to an expensive restaurant outing. Date Night. Whenever Mrs. Minafi and I feel cooped up in the house we have no problem going out and doing something fun. With Movie Pass and two theaters in walking distance, there’s no shortage of cheap solutions either. Friends Dinner. This is an idea a friend of mine started a while back. You cook up a big meal, invite friends over (they don’t need to bring anything – except maybe a bottle of wine or a beer) and you all eat together followed by playing a few games. I think having a routine to open our house in this way would be a great way to stay in touch – and even if no one shows up in a given week, we’d still have plenty of leftovers for later. Flexible Time. This is the area I was most unsure of, to be honest. I like leaving nights open for whatever plans happen to be made. Most of this time would be spent with Mrs. Minafi – as would a bunch of the other times throughout the day. Sometimes we’ll Skype with friends from out of town, go out to a bar or eat with friends, go on an evening hike. More often than not this could be relaxation time at home together snuggling up to watch a movie or binge-watch the latest show with browsing Reddit. Gaming/Fun. I don’t play too many games nowadays. I’ll tend to focus on one storyline driven game for a few weeks until I’ve completed it, then take a break before playing something else new. When I do get into a game I’m happy to let it take up all available time. Some weeks I might play a game every day while others I’ll be between games and play nothing. I like this eb and flow for gaming where I’m completely engaged in something – reading forums, diving into GameFAQs and trying to get the most out of it – combined with time spent away from gaming. Volunteer Programming. One area I’ve never been great at is volunteering. It wasn’t something I was brought up doing, and now I’m attempting to bring it more into my life to give back. I was thinking about ways I could help, and the one that stands out the most is by volunteering my technical services to places that could use it. I’m still unsure on how this would work, but I’m curious to explore it. Orlando had a great group, Code for Orlando, which was a local group that focused on volunteering talents together to help the community. I’d love to join or start something like that here and see where it goes. Education. I love learning, and setting aside explicit time for it is important to me. I’d love to get to the point where this is more of a daily ritual than a set time. Hiking. Getting into the outdoors here in Utah has been one of the most unexpectedly fun things about our move out here. I love the idea of going on a “long” hike every week (~8 miles) as well as another shorter hike (~4 miles). There’s a lot of mountains and trails to explore! Sundays are also a great time for hiking since quite a few people here in Salt Lake are at church. I’d group Minafi @ coffee, Gaming/Fun, Volunteer programming and Education are all into the same category: flow/deep work time. The idea is the same for all of them too – working on something with enough focus to completely lose myself and forget the passage of time. This is one of the most attractive things to me, and it shows in my schedule. These flow time activities take up the most prime areas of my afternoons. Is this What I’ll Actually Do? No. There’s a near zero percent chance I’ll ever have a week that looks exactly like this. What it did do, however, is lay out some example days that by themselves are exciting to me. I could see myself having a Monday that follows this schedule, or a Wednesday that looks like this. It’s more about proportions than about the specifics for a week. [Learn] Learn to speak Japanese fluently. [Learn] Learn to play piano. [Learn] Learn how to write in a comedic style. [Learn] Learn how to cook southeast Asian dishes I love from scratch. [Learn] Learn to take amazing photos of adventures and people. [Learn] Learn how to create interactive visualizations that help teach others. [Minafi] Create a business that teaches people how to improve their lives. [Gym] Run a mile in under 6 minutes. [Gym] Be able to walk on my hands. [Date/Flex] Have a joyful marriage. [Friends] Play board games with friends all the time. [Friends] Share amazing adventures with others. [Friends] Have dinner parties with friends. [Games] Play lots of video games that have great storylines. [Minafi] Teach a million people how to make their first informed investment. [Minafi] Inspire others to share their knowledge. [Minafi] Create interactive teaching experiences that people remember. [Volunteer] Teach and inspire kids to program. [Minafi] Teach and inspire kids to be financially educated and independent. [Minafi] Create a website that gets over 100,000 sustained visitors a month with minimal upkeep. [Minafi] Create and self-publish a product that lots of people enjoy. There are a lot of things I can focus on with just this schedule! There are so many more I’d love to find ways to focus on as well. That’s a good takeaway for me to figure out how to make them a part of my daily rituals. For example, there are a bunch of things in the “learn” category – way more than I could ever do if I only set aside 2 or 3 hours a week. I might be able to learn how to play piano or speak Japanese given enough decades of 2-3 hours, but let’s be realistic – I’d need to devote a bunch more time to those to move the needle. That’s something I want to eventually to make part of my schedule, but too much change at once can lead to failure. Best to work in habits one at a time. I learned a lot doing this exercise – both about what I want, what I don’t want and what I still need to improve on. I’d encourage you to give a shot and see what you can learn yourself. Even if you’re a long ways away from retirement, or if you want to wake up and decide what to do each day, it might make for some takeaways that you could use today. I guarantee you’ll learn something by trying this exercise. As far as mindset going in – it’s ok for it not be perfect. This isn’t a commitment to do this every day. Think of it more of a rough draft or an outline. When you write the final version with your time, you’ll have that much more knowledge to draw from! Grab the Perfect Week Template from Google Docs now! What Can You Do From It Now? What was most interesting about this exercise was how difficult it was to fill the time. Similar to trying to create 101 goals, filling 112 waking hours wasn’t easy either. It’s easy to fall back on the fun activities – “watching TV”, “browsing the web”, “hanging out with friends” – but are those really what I’d want to do as the core of my days (some yes, all no). When I’m not sick nowadays, there’s some overlap between my schedule and this schedule. I usually start days writing. I go to the gym after work a few times a week. I have 2 hiking days scheduled each week. Occasionally I’ll head to a coffee shop in the evening and work on a project for a few hours. What’s most interesting to me though are the areas I want to be part of my life later that aren’t a part of it today. Why aren’t they? I can’t lean on the excuse of “there’s not enough time in the day” considering how many hours I spent just yesterday browsing Twitter and Reddit. We focus on what’s most important to us. It would make sense that rest and recuperation could be more important when I’ve had a stressful day, but I’d prefer not to medicate with social media. Changing that habit is something that would be healthy, productive and bring me closer in line with my “Perfect Schedule”. (I’m not saying I plan to remove them completely, but just be more intentional about that time). I do have a few personal takeaways from this exercise that I want to try implementing. These will take months to work into any kind of routine, but I think it’s worthwhile to start now! Figure out how to make daily exercise (even if it’s just 5 minutes a day) part of my routine. Consider the idea of bi-weekly Friends dinner / gaming night. After a few months of exercising every day (in addition to writing), try introducing another daily habit: perhaps a daily gratitude journal, or a brief education-focused time. Try using Duolingo on the train into work each morning. What Does Your Perfect Look Like? I’d absolutely love to see what your perfect week looks like! If you want to make a copy of the above doc and share it in a comment, I’d love to see it – as well as hear how this exercise went for you. I’m not retiring any time soon, but I’ve been thinking a lot about my ideal schedule (and life) lately. We’re leaving in less than two weeks for a 3-year expat assignment in Shanghai where I’ll have significantly more time (due to having a driver, household help, and my youngest starting Kindergarten). I love how you connected your ideal schedule to your goals. Now I need to go back to that goal list I made after reading your 101 goals post and see what I can do to tie them into my daily schedule to help create the life I really want. And seriously, I can’t believe I still haven’t read the Morning Miracle book yet. I’m sure it will be right up my alley. Maybe I’ll download it for the plane ride :). Miracle Morning is really good! I think with your move to China that could be a great time to try it. Your sleep schedule will be so far out of whack after that flight it’ll be easy to slip into something new. The idea of relating the week back to long-term goals was both good and bad. It was good in that many did map up, but bad in that it made me realize just how many things weren’t possible. Good exercise though! Love this idea. It’s a big piece of my free email course on my blog. Planning your perfect day or week helps us to figure out our priorities and determine the best way to spend money.